Wait a moment, am I wearing a white outfit? The color I can't live with or without. Going out of the box now and then is a good thing for me. It gives me more inspiration and is a good help to take my outfits to a higher level. 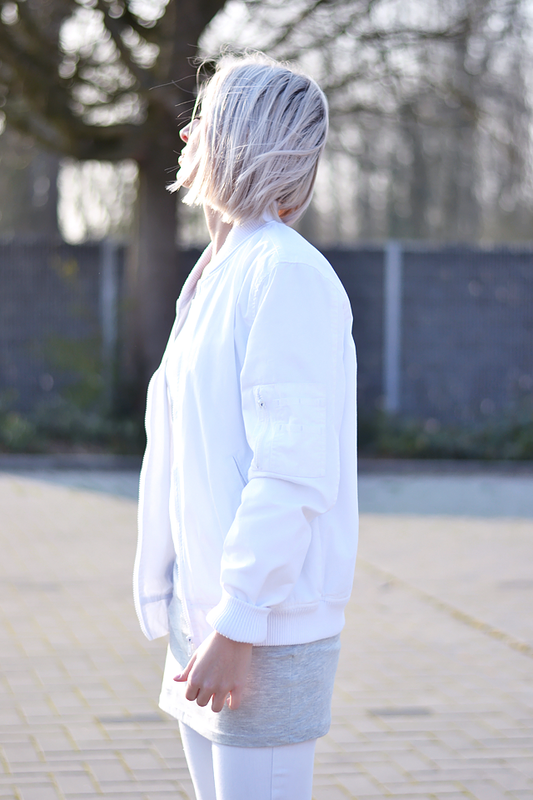 My love for a white bomber jacket was love at first sight. It looks beautiful with every outfit and it reminds me of how I want to look. The combination with a white jeans makes it even more perfect and even more risky. How do you like my white outfit? Mooie look <3 En die schoentjes zijn zo leuk!